series, they will learn more advanced techniques and applications of crystal therapy. registration and payment and $35 when your purchase the first 4 in this series to earn a “Crystal Healer” Level I Certificate of Completion. would like to review the foundation of knowledge for their journey with healing crystals and stones. crystals, how to program your stones, and more…. classes to earn a “Crystal Healer” Level I Certificate of Completion. 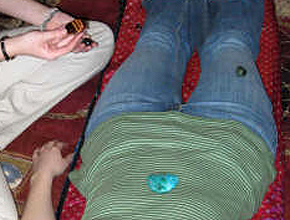 experiential exercise using two quartz crystal points to balance the subtle energy field. 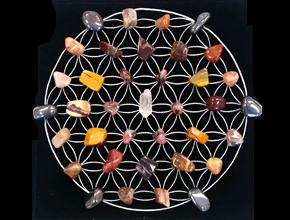 physical body and a second crystal layout that will work with the emotional aspects of each chakra. ways to use crystals and stones to strengthen protect and cleanse the aura. a “Crystal Healer” Level II or a Level III Certificate of Completion. Pre-requisite: Level I or equivalent training. Dow faced quartz and the crystal ball used for meditation and trance work. and how to use your grid once it is completed. and would like to awaken (activate), please bring it along as we can to that at the end of the class. 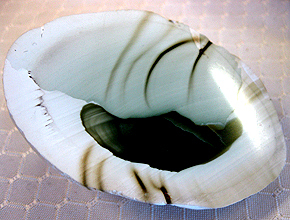 tradition, as well as traditional care and ways of working with the ancient sacred stone. (waxing), the mother (full) and the wisdom of the crone (waning) and the crystals that accompany those states of being. for Anxiety and Sleep disorders. partner on the floor and/or on a massage table. requisite for Levels II and III. of 25 Grid Layout Theme sheets. 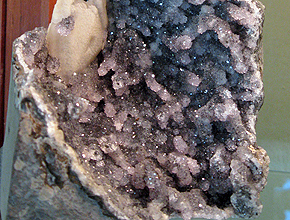 Hematite stones, 1 tumbled Clear Quartz stone. but it is recommended that you bring your own. This class will expand upon the techniques presented in the Spirit Whisperings Level I Grids class. Balance” layout), and how to successfully record your grid themes. The cost of this course includes the Spirit Whisperings Level II course manual. some will be provided for your use during class, but it is recommended that you bring your own. This is the third level if the Spirit Whisperings three-part series on crystal grids. Level II: The Power and Potential of Grids. during class, but it is recommended that you bring your own. PLEASE NOTE: This course is limited to students committed to taking the entire series. 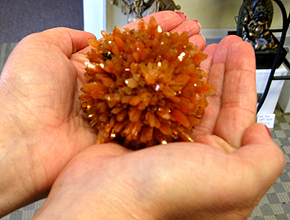 Reiki and Crystals - treatments and courses in Crystal Reiki have become very popular recently. universal light energy. For this reason, the system has been referred to as Crystal Reiki Healing. completely separate and unique system and does not have any pre-requisites. use in clearing and programming their crystals. these symbols within the power of a self-created, sacred light geometric grid. stones, symbols and an energy infusion technique. and experience energetic shifts in consciousness.